Keep The Promise: The Global Fight Against AIDS (2013) – premiered in early 2013 at the Vail Film Festival. The project comes out of a multi-year partnership with AIDS Healthcare Foundation. 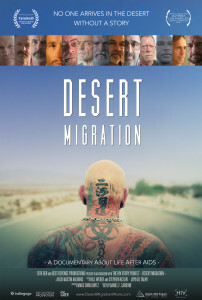 Desert Migration (2015): A smash hit on the LGBT festival circuit, the film follows thirteen HIV-postitive men as they live, age, and continue to survive the disease that changed their lives forever. It is expected to enter wide release in June 2016.